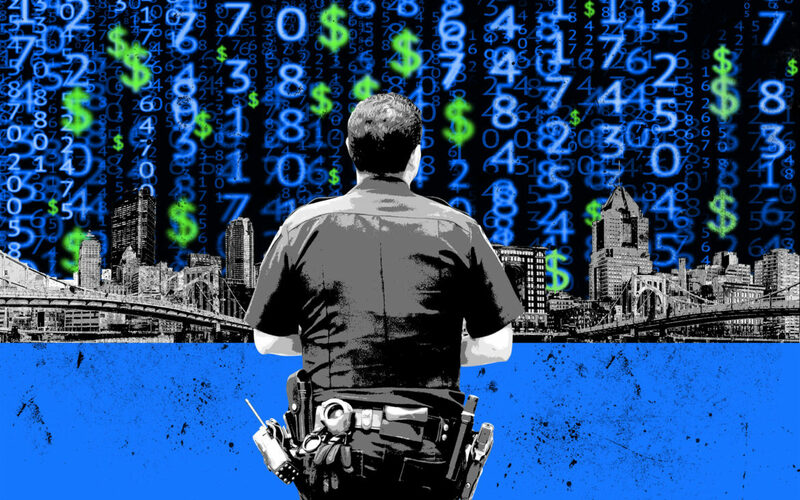 A PublicSource investigation into the Pittsburgh Police Bureau’s relationship with an IT vendor has uncovered numerous problems with police technology and the city’s contracting process. The city has paid for police software projects that have never been implemented, and there are allegations that some projects don’t work as intended. The projects created by B-Three Solutions were commissioned to help police officers do their jobs safely and efficiently. The problems with those systems have led to investigations by the FBI and multiple city agencies. See the latest below. Pittsburgh city employees bungled police software projects, inefficiently managed federal funds and questionably favored a software contractor, according to an internal report obtained by PublicSource. A Pittsburgh police officer who filed a federal whistleblower lawsuit in February against the city and one of the Public Safety department’s top officials resigned Monday morning. Officer Souroth Chatterji, who joined the department in 2012, claims in his ongoing lawsuit that he faced retaliation for uncovering what he viewed as “waste and wrongdoing” in the city’s handling of police technology. Chatterji’s lawsuit singles out Deputy Director of Public Safety Linda Rosato-Barone. As a commander, she had supervised technology projects Chatterji was instructed to audit in 2015 by then-Chief Cameron McLay. Chatterji argues that Rosato-Barone blocked his promotion to sergeant earlier this year because he reported evidence to McLay that helped launch internal and federal investigations. Rosato-Barone indicates that an internal investigation she initiated through the city’s Office of Municipal Investigations (OMI) into Souroth Chatterji was wider in scope. Besides Chatterji, it targeted former Chief Cameron McLay and key police personnel, including former Assistant Chief Larry Scirotto. These individuals were all involved in the McLay administration’s scrutiny of software projects involving Rosato-Barone and Plum-based B-Three Solutions. Even though several details have not been decided, Pittsburgh City Council voted on Tuesday to pass a bill that creates another measure of oversight on how the city handles requests for proposals [RFPs]. B-Three Solutions plans to sue a Pittsburgh police officer who claims in a federal lawsuit that he uncovered problems with the firm’s police technology. The fallout from the Feb. 14 lawsuit was “like a sucker punch straight to the gut,” B-Three President Michael Walton said in a statement, referencing media coverage of the lawsuit and statements from city officials. After weeks of deliberations, Pittsburgh City Council members voted on Tuesday to fund a $572,640 maintenance and upgrade contract with an IT contractor embroiled in controversy. But in the same meeting, two council members introduced legislation that they hope will provide necessary oversight of the way the city does business with private companies. Plum-based contractor B-Three Solutions has provided multiple city departments with software. Most notably, police officers use B-Three systems on a daily basis to file reports and track crime. A Feb.
Pittsburgh’s police chief urges city council to fund a controversial IT firm. Now, council has to decide. Pittsburgh Police Chief Scott Schubert made the rounds to city council members last week to ease concerns over a proposed half-million dollar allocation to B-Three Solutions, a software contractor one of his officers raised concerns about in a recent whistleblower lawsuit. Using the state’s Right-to-Know Law, designed to enable citizens to access public records, PublicSource filed requests for emails by providing names of city employees, keywords and a time period to enable the city to locate the public records. The city has repeatedly denied the requests, arguing that they’re too vague.